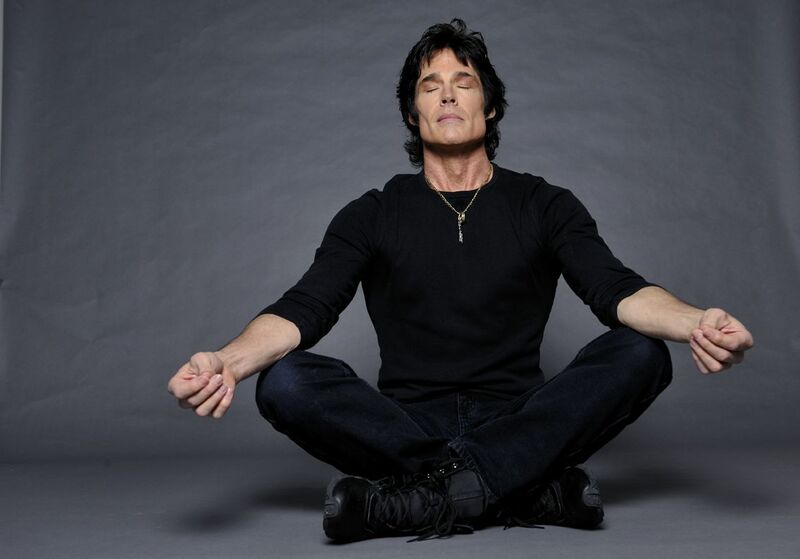 Hailing from Hollywood CA, RoNN Moss grew up around the entertainment industry. He knew at 11 years old after watching the Beatles appearance on The Ed Sullivan Show that he wanted to play music and taught himself the guitar, bass guitar and began drum lessons in Hollywood. RoNN then formed his bands from his junior high friends and started playing in clubs around Los Angeles way before he was of legal age to be in those clubs. It was in the late 70s that he met Peter Beckett and JC Crowley and together with RoNN’s high school friend John Friesen formed the band, “PLAYER.” The band was signed by famed Australian manager Robert Stigwood to his RSO records label and garnered and handful of top 40 hits including the #1 enduring smash hit, “Baby Come Back.” PLAYER began touring with Eric Clapton, Heart, Kenny Loggins, Boz Skaggs, Little River Band, Gino Vannelli, as well as headlining their own concerts. On the recommendation of Robert Stigwood, and because PLAYER was experiencing a slowdown within the record industry, RoNN decided to try his hand at acting and quickly landed his first film entitled, “Hearts and Armor” that filmed in Sicily and Rome,Italy. Following a progression of movies, TV shows and commercials, led RoNN to originate the iconic role of Ridge Forrester for the CBS Daytime drama, “The Bold And The Beautiful.” Over the next 25 years the show became a worldwide sensation spanning 130 countries, making RoNN an internationally recognized face and personality. RoNN has continued doing music over the years and has done two solo CDs, “I’m Your Man” and “UnCovered” along with four solo tours in Australia. His latest music release is a collection of songs called “My Baby’s Back” and is available on iTunes, Amazon, Spotify, Reverbnation, and RonnMoss.com. He is also embarking on another Australian music tour in March 2019. He has played himself in movies for Italy, “Christmas In Love” and won 2nd place on Italy’s version of “Dancing With The Stars.” In 2012 RoNN decided to exit the role of Ridge Forrester and go into producing with the hit Amazon Prime series, “The Bay” in which he also plays the character of John Blackwell. RoNN was also one of the voices in the animated Disney movie, “Bolt.” RoNN appeared with his wife, Devin Devasquez, on the hit ABC series, “Celebrity Wife Swap.” RoNN is a man of many talents and also loves photography, martial arts, target gun shooting and horseback riding. He has traveled to many countries around the world to host, appear or film a variety of commercials, campaigns and television projects. Together with his Cajun wife, Devin, they have created a wonderful spice called “Devin’s Kickass Cajun Seasoning” which helps raise money for the rebuilding of New Orleans after Hurricane Katrina. In addition, Ronn has also launched his own brand of comfort food, RoNN’s Gourmet BBQ Sauce. Ronn and Devin are also supporters of The Thalians, which raises money and awareness for UCLA Operation Mend, helping our brave military men and women heal from the wounds of war, physically and mentally. Songs of Love which helps terminally ill children and their families is also a project for this husband and wife duo.